Bradys Retail Property Agents Manchester. 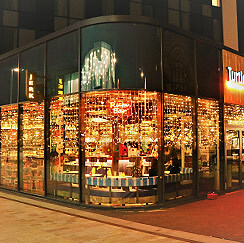 Specialists in Retail and Leisure Property and Shops To Let in the North West. Whether you're looking for a one-off shop unit, expanding an existing chain of stores or wanting to increase the return on your retail investment. Bradys have a team of professionals who specialise in all aspects of the retail market. We understand the intricacies of a balanced retail mix within a shopping development and the need to maximise footfall and pedestrian flow. With an increasing demand for leisure facilities it is essential as a tenant to be amongst complementary leisure operators and as a leisure development owner to ensure yours is the 'go to' destination where visitors spend both their time and money. Bradys offers first class leisure property advice for rentals, lettings, disposals and acquisitions. Covering all aspects of disposal and acquisition of leasehold and freehold property on the high street, in shopping centres and out of town, the Bradys professional team provides unrivalled retail and leisure lettings advice and guidance in the North West and beyond. The Bradys team has specialised in retail and leisure rentals in the North West for over 25 years. During that time we've established a strong portfolio of clients, representing landlords, tenants and investors and are now the strongest independent niche retail & leisure property consultancy in the region. 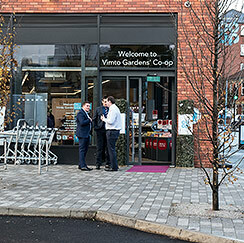 Providing development advice to Developers and Local Authorities both on a performance basis or as Consultants is an increasingly important service being requested as town centres seek to reinvent and reposition themselves as retail and leisure destinations.